Gen Con again broke attendance records in 2018. The convention had more than 60,000 unique visitors, with attendees going to more than 17,000 ticketed events. Two years ago the convention had expanded into Lucas Oil Stadium, and with more and more events being held there and in surrounding hotels, the crowds seemed smaller, even if attendance was at a record high. Gen Con 2018 had several newsworthy events and announcements for the game industry, perhaps most notably the merger of Stronghold Games and Indie Cards & Boards, joined under the new banner Indie Game Studios. Fantasy Flight’s announcement of card game Keyforge (to be released in the fourth quarter) also generated considerable buzz, as it potentially marks a turning point in game publishing: each deck sold will be unique. Lastly, shortly before the show, longtime designer and publisher Christian Petersen announced that he’ll be stepping down as the CEO of Asmodee North America at the end of the year. Those are the highlights: game announcements and drama abounded, but with the hindsight of a few weeks, none of it feels worth recounting here. But what games were the hottest of the convention? When I left Indianapolis I would have said that there was no standout or must-have game of the convention, but in the weeks since, Root has emerged as Gen Con’s darling. Designed by Cole Wehrle and published by Leder Games, this “adventure and war game” with deeply asymmetric play has dominated the conversation among hobbyists in recent weeks. Root seems poised to be one of the hottest titles of not just Gen Con, but 2018 overall. The hottest publisher of the event was probably either Blue Orange or Cool Mini or Not (CMON). 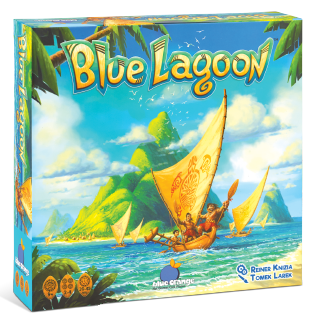 Blue Orange had Reiner Knizia’s Blue Lagoon, a family-friendly game about exploring and settling archipelagos that was seemingly inspired by Knizia’s classic Through the Desert. The publisher also had Bruno Cathala and Ludovic Maublanc’s Scarabya, a simultaneous-play puzzle game about collecting scarabs in the desert, and Kingdomino: Age of Giants, the first major expansion for their hit 2017 Spiel des Jahres winner. (Kingdomino was featured in the Suummer 2017 issue of Gamers Alliance Report.) Piles of all three titles were stacked high and selling well, and post-show all three have garnered praise from game critics. When the doors opened each morning, attendees rushed to CMON, in part because many of their hottest games were in short supply. 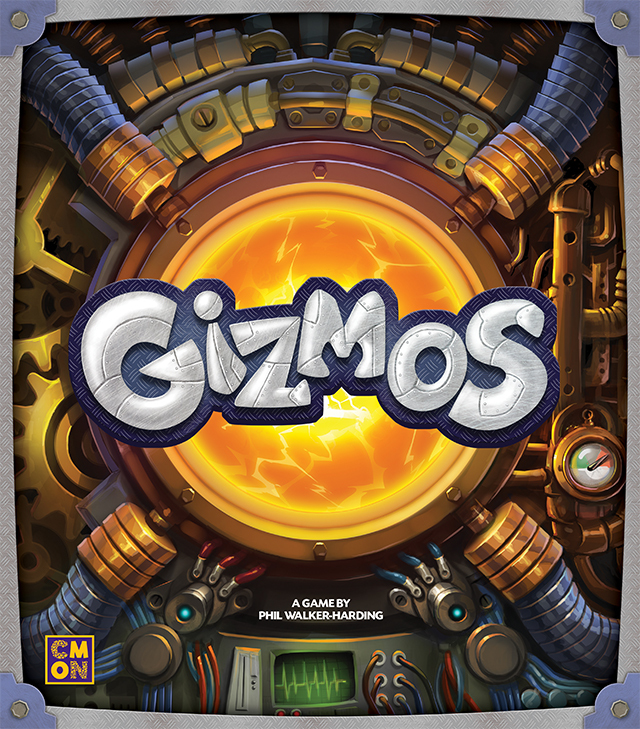 Leading into the show, Gizmos, designed by Phil Walker-Harding, was held out as a “combolicious” engine-building game in the spirit of Splendor (Summer 2014 GA Report) The prototype had received acclaim at the Gathering of Friends back in April and, as news rolled out of Gen Con, the final version didn’t disappoint. It sold out each morning, as did roll ‘n write title Railroad Ink, published in partnership with Horrible Games and designers Hjalmar Hach and Lorenzo Silva. Railroad Ink came in red and blue editions, and though the base game was the same in each box, they came with different expansions. CMON rounded out their hottest titles with Newton, one of the hardest-to-get games at the show. It is a medium-heavy Eurogame that was rumored to only have only a few dozen copies each day. Plan B Games and Next Move Games, fresh off their Spiel des Jahres win for Azul (featured in the Winter 2018 GA Report), were also a standout publisher, though nobody seemed to rush their booth. 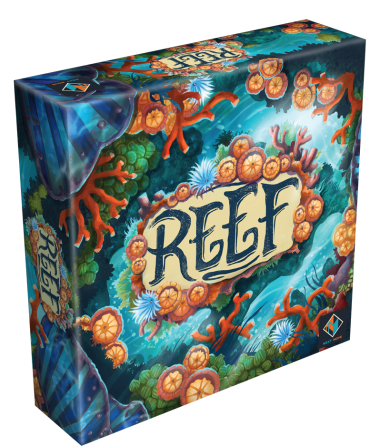 They sold both Century: Eastern Wonders, the sequel to Century: Spice Road, and Reef, an abstract, family-friendly pattern-building game set among coral landscapes. Both were designed by Emerson Matsuuchi, both had soft releases at Origins, and both seemed to sell well at Gen Con. So did Coimbra, a medium-heavy Eurogame. Designed by laminia Brasini and Virginio Gigli and published in partnership with eggertspiele, Coimbra features gameplay about earning the backing of influential Portuguese citizens in 15th and 16th century. Legacy games have been in the spotlight in recent years, and two notable ones made their debut at Gen Con. Ted Alspach of Bezier Games partnered with Rob Daviau to create Ultimate Werewolf Legacy, a campaign overlay of the social deduction classic Ultimate Werewolf. 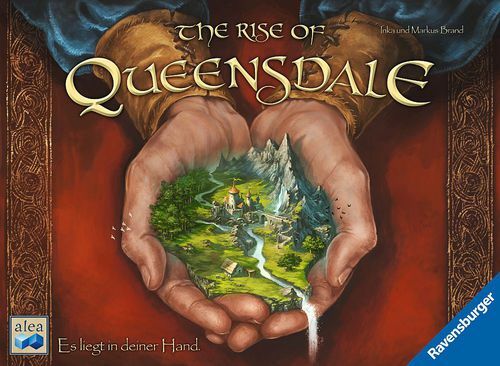 Ravensburger and Alea started a new series in a larger box size, opening with The Rise of Queensdale, a competitive city-building game from Inka and Markus Brand. Queensdale had received a German release months before, but its first English-language was at Gen Con. 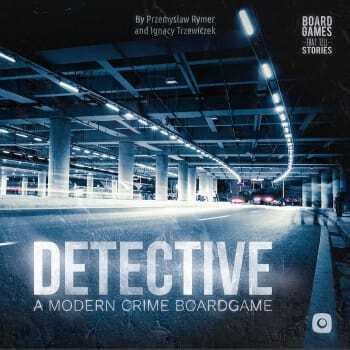 One of the most-anticipated games of the convention was Portal Games’ Detective, a deduction game reminiscent of Sherlock Holmes: Consulting Detective. The game uses an online criminal “database” and and is a multi-hour immersive experience. It sold out at the show, and has been a hot game since. Like the past couple of years at Gen Con, sequels and games based on existing intellectual property were popular. 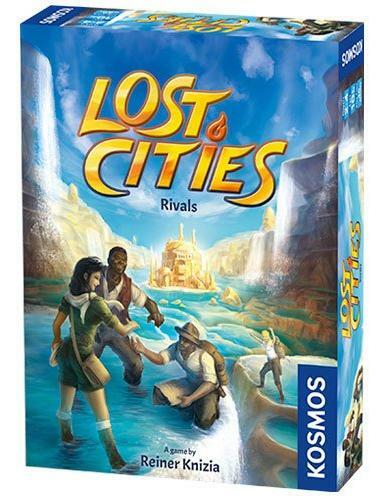 Kosmos sold Reiner Knizia’s Lost Cities: Rivals, a game that mixes the ascending order card play of Lost Cities with the press-your-luck mechanic of Ra and the auction mechanic of Traumfabrik. As a sequel to their hits Forbidden Island and Forbidden Desert, designer Matt Leacock and publisher Gamewright had a few hundred copies of Forbidden Sky. Though Forbidden Sky sold out early each morning, reviews in the intervening weeks have been mixed. Alan Moon’s Ticket to Ride New York was also getting attention as a lighter, faster version of Days of Wonder’s classic. It was sold through Asmodee North America, as was Patchwork Express, a version of the Uwe Rosenberg hit that shaves a few minutes off the play time. I’ve already mentioned a few expansions, but the hottest expansion of the show was arguably Terraforming Mars: Prelude from Stronghold Games, which speeds up the terraforming and provides an accelerated game. It is the third expansion in the series, with another to come at Essen and additional ones planned. 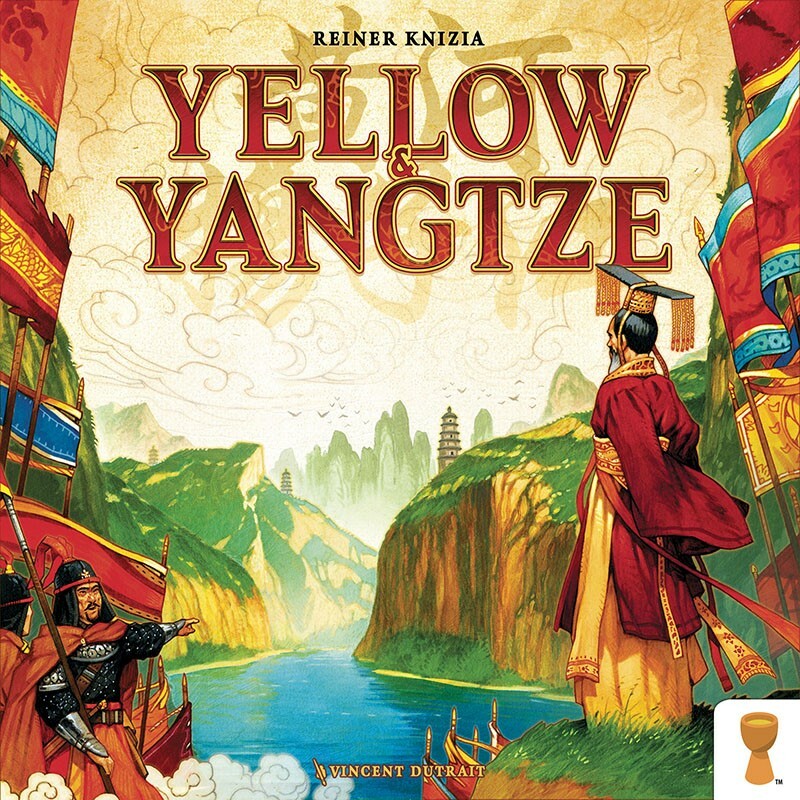 Among designers, the winner of the convention appears to be Reiner Knizia. After nearly three decades, he’s still releasing hit after hit. Along with his aforementioned games, he also had Yellow & Yangtzee with Grail Games, a “sister game” to the award-winning Euphrates & Tigris. With hundreds of games debuting at the convention, it is impossible to discuss them all here. But in the weeks since the convention, those are the ones that seemed, from my vantage point, to be of note. Though some games have done better than others, no game seems to have garnered universal acclaim. 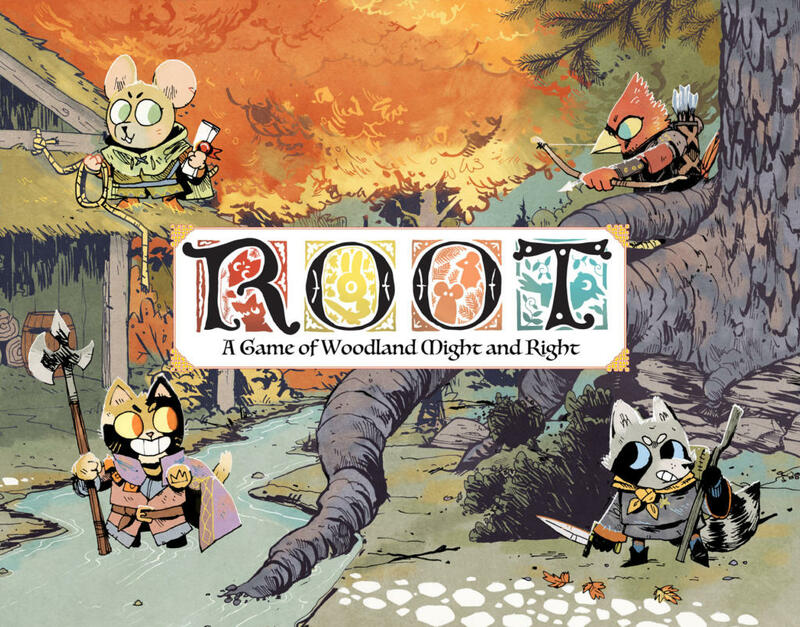 Even Root — which has been at the top of the BGG hotness list for weeks — has had its detractors. So what did Gen Con 2018 tell us about the state of the hobby? I see three takeaways so far. Shotgun publishing — the phenomenon where a small to medium print run is promoted heavily for just a few weeks by a publisher before being abandoned — seems to be the settling norm of gaming in 2018. Renegade Game Studios in particular appears to have taken the mantle, releasing a seemingly endless series games before and at the show, but shying away from promoting them in the weeks since. Along those lines, as I’ve observed for the past few years, Gen Con now appears to be, in many ways, an Essen preview. Many of the hottest games were on hand only in very limited quantities. While some have received a release in the intervening weeks, many more make their full debut at Essen. Publishers seem to be using Gen Con to build buzz, and many of the games leading the Essen anticipation lists were demoed at Gen Con.